The Sun Coast Area's premier singles social, cultural, special event and travel club. 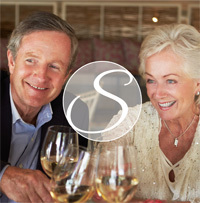 The Sarasota Singles Society elevates the traditional methods for meeting singles. companions, network for your business, or perhaps even meet a new romantic interest. 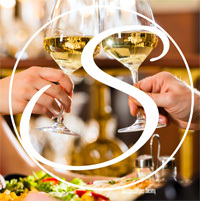 The SARASOTA SINGLES SOCIETY creates an environment which makes the process of meeting other singles fun and fulfilling. Quality single men and women from Sarasota and the surrounding area meet through socializing with other singles while attending parties, dances, cultural and other extraordinary special events. Our concept provides the perfect alternative to online dating or the typical bar scene. There is no comparison to meeting a number of quality singles in person while socializing at an upscale event. We are all unique and comprised of many facets. The entire person as a whole, their personality in particular, is what either creates that magic or not when meeting someone. That is why it makes such a difference to have the opportunity to meet a number of people in person. This is true for friendships as well as romantic interests. Our upscale social events offer a comfortable, natural setting which puts people at ease and allows them to be themselves. Hosts are on hand at every event to greet guests as they arrive, introduce them to other guests and make certain they are connecting and involved throughout the evening. It is amazing to see how quickly people start conversing and comingling when placed in a normal social setting. There is always a different mix of people at every event, so you never know who you might meet. Attending any one event does not give you a true impression as to your overall opportunity to meet and make the relationships you are seeking. Some events are less generic and designed for a smaller group in the interest of offering a more diverse array of activities. If attending this type of event as your first experience you may not realize that other events may attract twice the number of people. I am asked constantly if we have many men in attendance at our events. In general, there are typically more ladies than men. However, many of the ladies at our events have recently lost their spouse and are seeking new friends and companionship as opposed to a romantic relationship. I cannot say the same for men. I can assure you that if a man is in attendance he is hoping to meet someone for a romantic interest. He is not there to make other male friendships! Some people make the mistake of not attending dances because they're not that adept at dancing. However, our events always include an hour of mixing and mingling when we first arrive, followed by dinner. Those not interested in dancing typically continue to enjoy conversing with people they've met throughout the evening. Don't miss out on some of the best opportunities. The SARASOTA SINGLES SOCIETY offers a far more natural, respectable, and safe way for people to meet. Not just for romantic interests, but connecting and developing friendships within a comfortable community of like-minded people through wonderful opportunities to socialize and do those things singles would otherwise not feel comfortable doing on their own. We attract many people who have recently relocated to the area or have just lost their partner in life. Our events afford a most comfortable means of helping people create a new life through connecting with others in the same situation. Although not promoted as a dating entity, many people have met through attending our events and are experiencing the joy of having that special someone in their lives. Famed novelist Charlotte Bronte wisely wrote "Happiness quite unshared can scarcely be called happiness; it has no taste." If you are looking for a way to share some happiness with friends who, like you, enjoy the things that make life fun and create a more fulfilling life - join us at our events - or accompany us on some of our group travels. THE SARASOTA SINGLES SOCIETY OFFERS A VARIETY OF SOCIAL AND CULTURAL OPPORTUNITIES. Get your social calendar out as you view the tempting array of fabulous events on the Event Calendar that are already arranged for you. Start making plans! AS WE INTEND TO CELEBRATE LIFE, YOU WILL FIND THAT WE OFTEN CELEBRATE SPECIAL DAYS OF THE YEAR. Our most popular event of the year is our Holiday Party in December which is always celebrated at the Sarasota Yacht Club. The spectacular decorations inside are only surpassed by the magical view of the boats in the marina covered in twinkling lights. We believe that Valentine's Day is not just for couples. We always offer an opportunity for singles to celebrate this special day as well. Who knows, attend our exciting Valentine Dinner Dance on February 13th and you may end up meeting someone to spend the 14th with as well! When possible we celebrate the new year at sea. Cruising is our favorite means of ringing in the new year! SARASOTA IS A VERITABLE MECCA FOR THE ARTS. IT ENJOYS ONE OF THE MOST VIBRANT AND DIVERSE CULTURAL SCENES IMAGINABLE. We have been honored by having exclusive use of the historic Sarasota Opera House each September in the past for a private backstage tour followed by a catered cocktail reception in their private member's lounge. Broadway comes to Sarasota each November at the star-studded Asolo Repertory Theatre's fall blockbuster hit. We always host a Theatre Party with a block of some of the best seats in the house. Our "Theatre Party" starts earlier in the day with a private backstage tour which gives us a much greater appreciation for all that goes into creating the production. We begin our evening of the performance with a private reception on the Mezzanine. Other performances or cultural opportunities will appear on our calendar throughout the year. Our cultural events not only offer those who enjoy attending performances an opportunity to do so in the company of others but helps expose those looking for a more fulfilling life to the many ways one may become involved in supporting the arts. TO THE WORLD'S MOST ALLURING CITIES AND FASCINATING REGIONS, CREATING MAGICAL, UNFORGETTABLE SHARED EXPERIENCES. Travel is one of the most difficult aspects of being single. Most hotels and cruise lines charge the solo traveler 175 - 200% of the double occupancy rate, making travel prohibitive for a single person who enjoys travel in the comfort of their own stateroom or hotel room. We specialize in finding opportunities for singles to travel with the world's best cruise & tour lines with the single supplement waived or greatly reduced. On our group travels everyone enjoys the luxury of their own stateroom or hotel room - without paying double for that pleasure. A group of people who are in the same situation in life - traveling together - creates the opportunity - to have other people - to share memorable and life-changing experiences with - that are encountered throughout their journey. Our next travel affords us the opportunity to enjoy the world's most popular - and scenic - river cruise - Melodies of the Danube - departing on April 21st. A PreCruise in Budapest and a PostCruise in Prague - with such iconic destinations as Vienna and Salzburg in between. We have a special group discount of $750. per person which has now been extended and is valid as long as there is availability on board. This will be one of those "once in a lifetime" opportunities to experience this spectacular river cruise to some of the most renowned destinations in the world. Travel is life-changing. "With travel, our minds become more powerful, and our spirits more joyous. And once the mind is stretched like that, it can never return to its original state." 1000 PLACES TO SEE BEFORE YOU DIE." ~ by Patricia Schultz. No more solo travel or waiting for that special someone to come along - start planning your global travels now! Your time and your heart matter. Join us for special occasions, events, and memorable travel while enjoying the companionship of other quality singles.